If you have ever read this blog (or know anything about me) you know that I take basic make up literally. Funny enough I own a lot of makeup and beauty products, which I never or very rarely use. I usually wait until the last minute to start thinking about make up (so I get ready in 5 minutes), but I love discovering good beauty products. Starting today I will share my favorite beauty monthly buys; that way I have a reason to test out and use more of the products I get. My skin is super sensitive and I have had some sort of acne for the better part of my life, usually mild but it has gotten worse in my adult years. I laugh and think that having adult acne is nature's cruel joke, I thought it would all be over by time I hit my mid twenties…but no sadly my acne and sensitive skin is here to stay by the looks of it. Having acne prone skin and being allergic to many things lead to years of feeling self conscious which only lead me to trying endless amounts of product and medication to no end. 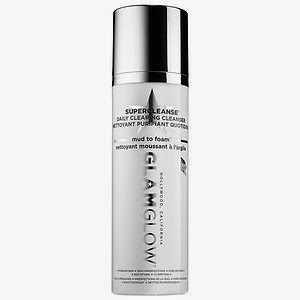 I bought GLAMGLOW Super cleanse daily clearingcleanser & super mud clearing treatment on recommendation of a friend. I was a skeptic about the product, especially at that price point. The cleanser is to be applied to dry skin and by adding water to your face it turns to foam. After one use my skin felt soft and clean, over time it helped with my over all complexion. I only used it at night as I think it would try my face out if I used it more than once a day. 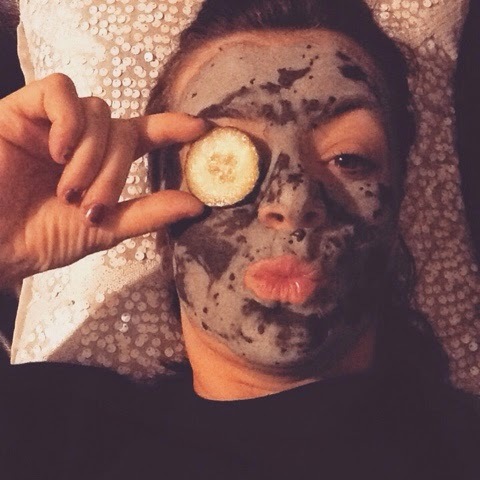 The masque (super mud) I use more like a spot treatment then and actually all over masque. It helped a lot with controlling breakouts and minimizing how long they lasted; using it as a masque on my entire face evened out my complexion but it did make my skin supper dry. 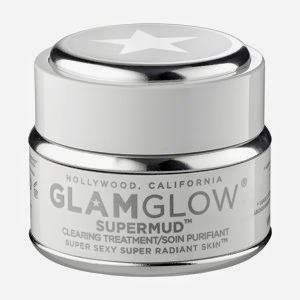 Have you ever tried either of the Glamglow products? Did you like it?